If you have open availability on a weekend (or a few weekends because not everything usually sells in just one weekend), hosting a garage sale may be a good option. One disadvantage of doing a yard sale, though, is that most people are hoping to buy stuff for very little money. Don’t be offended if you get low offers for items. Don’t really care when you get the money? Sell your items through a consignment store. The store does the selling for you and take a commission for each piece sold. However, just like any retail store, sometimes it can take weeks or even months before those items will sell, if at all. San Diego has many different types of consignment stores. If you consider yourself a little tech-savvy, are able to write great descriptions, and possess some online marketing skills, you can sell items through apps and online marketplaces such as Mercari, OfferUp, Etsy, Craigslist, and more. Your items have the potential to be seen by millions of online buyers. Liquidating your estate this way can take time because you’ll be selling piece by piece. If you would rather not deal with the headache of liquidating your estate, an online auction may be the best option for you. We believe it is probably the quickest and most effective way to sell items, especially if you work with an experienced San Diego estate liquidator that specializes in online auctions. You may pay a tad bit more in commissions, but all the work is done for you in a professional manner. Keep in mind that online estate sale auctions are not just for family or loved ones who have passed away. You can enlist this type of liquidation service if you’re moving into a smaller home and want to downsize personal assets. Throughout the years of conducting online estate sale auctions, we’ve been able to sell about 99% of items for our clients. 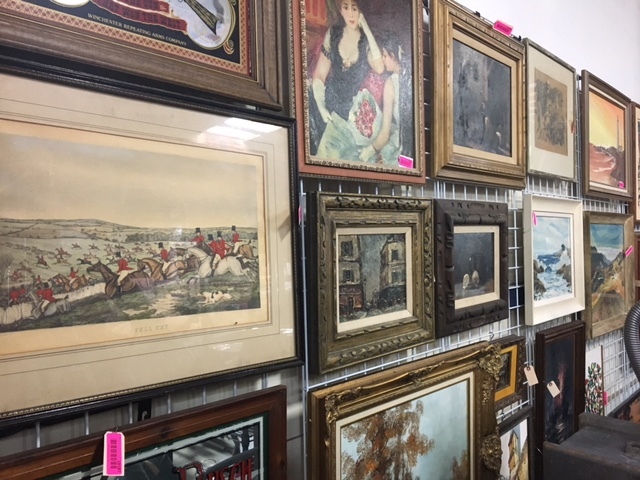 We have an email list containing thousands of active buyers who are always shopping for collectibles, antiques, art, furniture, and more. Are you in the San Diego area and looking for an estate liquidation company? Contact us today to get started: 619-326-9690. What are my options when liquidating an estate via online auction? A full-service supervised event in that we do everything from cataloging and photographing all the items, marketing, and removal. This is probably the most hassle-free option for you. A self-supervised event in which you do everything. You have access to our auction platform and huge list of buyers. A bulk sale in which you sell the entire estate to the highest bidder. What are your fees to auction my estate? Because every individual and situation is different, our commission rates vary. There are a number of factors we look at including how many items you are selling, the amount of work required to set up the auction, and how much it will cost to market the auction. Will I need to keep all the items in my home? It all depends on how many items you have and the type of items you want to sell. If you’re selling an entire estate, it may be best to keep the items in the home. You do have the option of packing up items and including them in one of our monthly combined warehouse estate auctions. How does this process work of auctioning my estate online? Our auction coordinators will sort through everything and group items together into lots. Then we’ll create the catalog by writing descriptions and taking photographs of each lot. Once all the items are catalogued and published online, our marketing team goes to work to promote the auction via social media and other online channels. Buyers can then register to bid and begin placing bids. The auction is usually online for about two weeks. Can people inspect the items up for auction? We do offer a preview day the day before or on the morning that the auction starts to close. It is open to the public and buyers can come to inspect items. How do you promote the auction? We send weekly emails to all of our subscribers who request to receive notifications of all our auctions. Our marketing team also promotes auctions via social media including Facebook paid campaigns, Instagram, and Twitter. 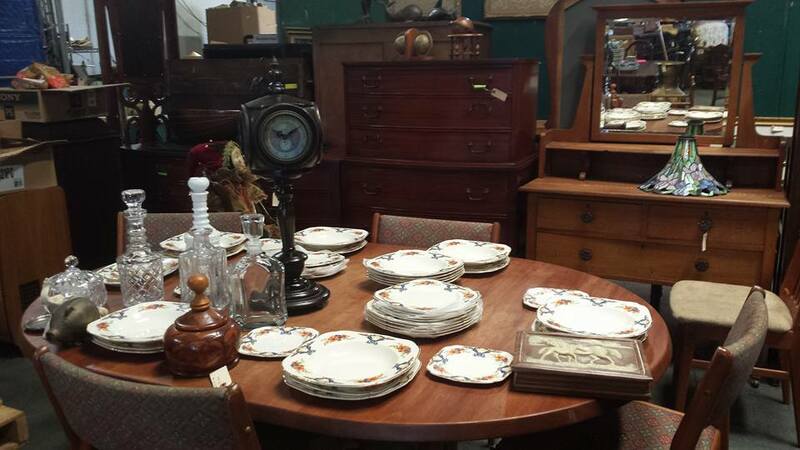 Our experience has shown that Facebook has brought highly targeted buyers who are interested in estate sale auctions. What if some of my items don’t sell? In most cases 99% of all items do sell. In the rare occasion that something does not sell, we can talk about what you would like the next step to be. San Diego-based auction house CalAuctions.com has received an award for the Top 50 Most Viewed Estate Sale Companies from EstateSale.com, an online directory that lists estate sales, auctions, and business liquidations all across the United States. Each year EstateSale.com hands out awards to companies whose estate sale listings were viewed most out of all the companies that use the site. Currently there are over 6,480 professional estate liquidators who have signed up on EstateSale.com to advertise upcoming estate sales and auctions. The online estate sale industry continues to grown into a multi-million dollar market. Many companies are competing for market share as consumers have turned to online services to shop for unique products, hard-to-find collectibles and antiques, or products that are no longer being manufactured. CalAuctions.com has found a niche in the Southern California/San Diego market, drawing in thousands of bidders each month to its online estate sale auctions. “We are excited and grateful for this award. It’s a testament to the hard work the team has put into marketing and creating appealing, eye-catching catalogs for each auction. EstateSales.com has made it easy to connect with our target buyers who continue to participate in our auctions on a regular basis,” said Jason Hanks, President of Cal Auctions. This is the fourth year in a row that Cal Auctions has received the Excellence in Estate Sale Marketing Award. In a highly competitive online auction industry Cal Auctions continues to thrive and flourish, setting an example for all small businesses in San Diego. Focus on growth and taking care of customers, and it is inevitable that you will be successful. Cal Auctions has expanded from a small warehouse in Santee to two huge warehouses near downtown San Diego. The full-service auction house helps businesses liquidate assets and conducts online estate sales on a regular basis. The current online auctions from Cal Auctions include the San Diego Community College District Surplus Auction that closes on Tuesday, November 15, which consists of computers, electronics, gym equipment, and more. Another event that closes on Wednesday, November 16 is a high-end furnishings and African masks auction, plus a ton of collectibles, designer fashion, and much more. “We’re thrilled to be a part of the growing online auction industry and welcome the opportunity to work with businesses and individuals throughout the Southern California region. There is now an awareness of working with service providers that will help people liquidate assets much more quickly and effectively. Our goal has always been to provide quality service for both sellers and buyers,” said company President Jason Hanks. Jason started Cal Auctions when he realized the need for technology, online access, and better service within the auction industry. As a certified auctioneer with a background in Industrial Technology, Jason has spent the last seven years developing an innovative system to optimize the online auction method of selling. Original news piece published in the San Diego Union Tribune. The online auction industry has grown by leaps and bounds, and for Cal Auctions business has come full circle. Cal Auctions started over four years ago in a small warehouse in El Cajon conducting business and industrial online auctions, and now the company has grown into a full-service auction house that also conducts individual and monthly combined estate sales. Cal Auctions is currently working on an auction for an off-road manufacturing facility located in a nearby warehouse where it all began not too long ago. This online only auction that closes on Tuesday, June 7 at 10:37 AM (PDT) will be the biggest event this year for the auction house. “The online auction industry has grown in the past decade and people are recognizing the benefits of working with service providers to help them liquidate assets more efficiently and effectively. Our goal is to provide quality service for both sellers and buyers,” said company President Jason Hanks, who was inspired to launch Cal Auctions when he discovered that there was a need for technology, online access, and better service within the auction industry. As a certified auctioneer with a background in Industrial Technology, Jason has spent the last seven years developing an innovative system to optimize the online auction method of selling. For more information, visit: www.calauctions.com or connect via social media at Facebook.com/CalAuctions and Twitter.com/CalAuctions. Look what showed up at the warehouse recently. This and a few more vehicles including a Jaguar will be up for auction soon. Stay tuned!